On this 13-night leisurely fly-drive of Georgia you'll discover scenic back-roads lined with peach trees, magnificent antebellum homes, glorious Atlantic sea islands and majestic mountains. 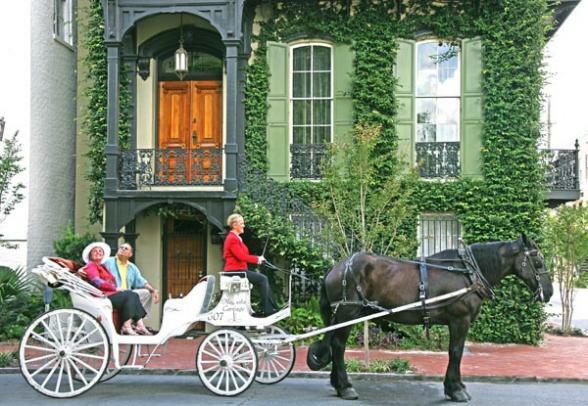 We know you’ll adore too, the jewel in Georgia’s crown, historic Savannah. From its pivotal role in the Civil War and its leadership in the civil rights movement, to its championship golf courses, gardens and music festivals, Georgia offers a rich heritage in history and music as well as adventure and cultural attractions. Fly from either London or Manchester on one of the five daily non-stop flights from the UK to Atlanta’s Hartsfield-Jackson International Airport. 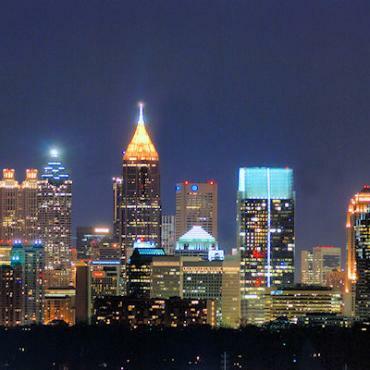 Pick up your car and head to your downtown Atlanta hotel. Visit the Georgia Aquarium, where you can see more than 120,000 animals of 500 different species in more than 8 million gallons of marine and fresh water. The world's largest aquarium houses whale sharks, beluga whales, touch tanks, 4-D theatre and Dolphin Show, perfect for all ages. Be sure to visit the World of Coca-Cola at Pemberton Place™ in downtown Atlanta. It is the only place where you can explore the past, present and future of the world's best-known brand. See a 4-D movie experience, a fully operational bottling line and sample more than 70 Coca-Cola products around the world. May we suggest lunch at The SunDial Restaurant Bar & View (atop the Westin Peachtree Plaza, the tallest hotel in the Western Hemisphere) offers breathtaking views of downtown Atlanta. 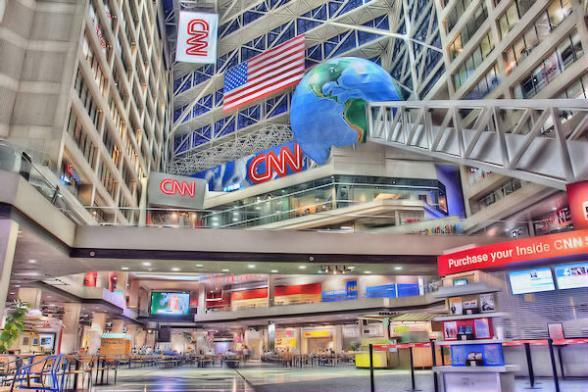 At the Inside CNN Atlanta Studio Tour, watch behind-the-scenes action of the newsroom, see what it takes to put a news broadcast together and even learn how the weather map works. Visit Centennial Olympic Park, the world's gathering place during the 1996 Centennial Olympic Games. The park features the popular Fountain of Rings and many outdoor events during the summer months, including Wednesday WindDown, which is a free concert series every Wednesday from 5:30-8 p.m.
Don't miss the International Civil Rights Walk of Fame. Stand in the footprints and see the shoes of 17 civil rights leaders displayed as a tribute to the warriors of justice. 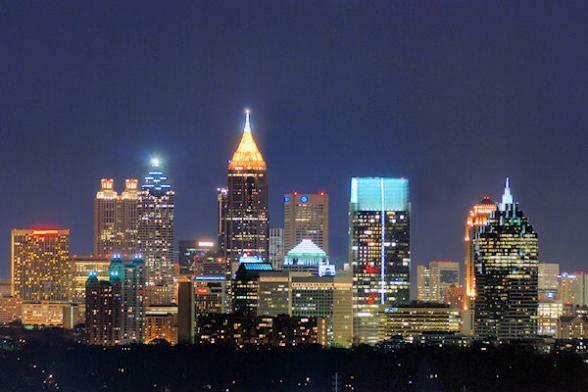 Enjoy dinner at one of Atlanta’s award winning restaurants either in the Downtown area or the upmarket Buckhead area. In the moring drive to Madison and stop by the Welcome Center on the square. Learn about our pre-Civil War and Victorian architecture and why General Sherman spared this town on his march from Atlanta to the sea. Pick up a walking guide for the National Register Historic District - one of the largest in the state of Georgia. Make your way to Social Circle and enjoy lunch with a glass of Champagne of the South (sweet tea) at southern dining icon Blue Willow Inn. After a busy day of touring have dinner at one of Macon’s fine downtown restaurants big on southern style and hospitality. Ride a trolley and enjoy the city recently designated one of the most distinctively historic cities in the country. 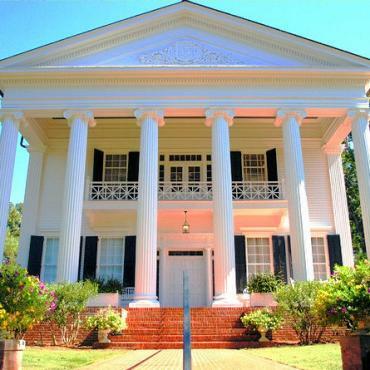 Stops include three house museums: Hay House, Cannonball House and Sidney Lanier Cottage. 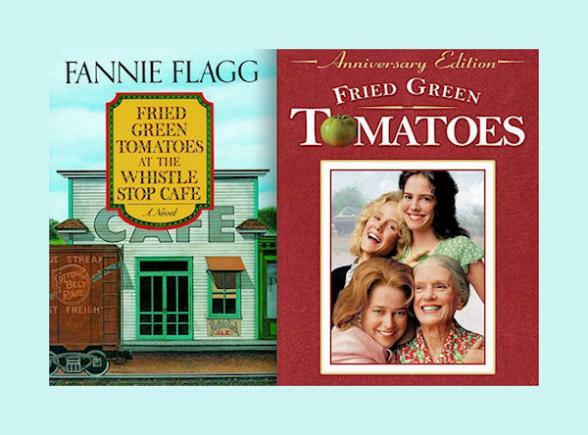 Enjoy a drive to Juliette and lunch at a The Whistle Stop Café scene and setting of the 1992 movie Fried Green Tomatoes. Explore the unique souvenir and antique stores this tiny town has to offer before setting off for Savannah. 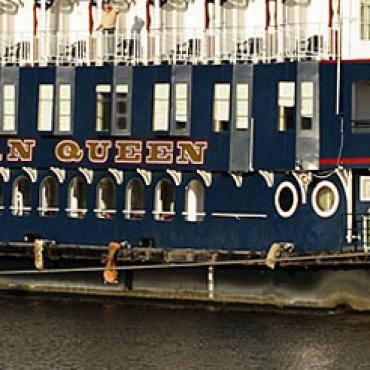 Arrive in Savannah and indulge in authentic, world-famous southern fare and nightlife. Enjoy live jazz or alternative bands, duelling piano bars, Broadway-style musicals and even karaoke. The City of Savannah, laid out in 1733 by General James Oglethorpe is the first master planned community in America. 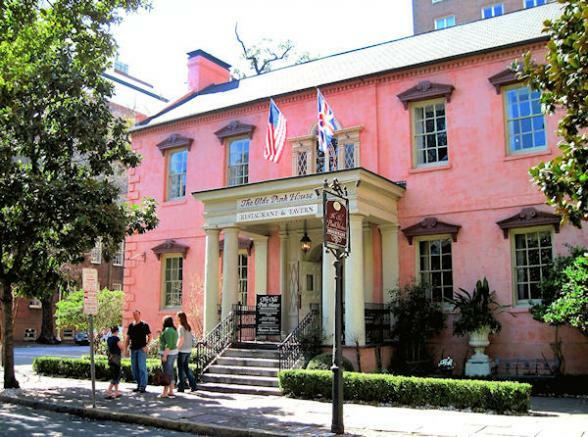 Home to 24 squares, Savannah has a charm, a beauty that is unsurpassed in America. Along the way, see some of Savannah’s famous monuments which are dedicated to their leading citizens. Start your day and take a tour of Savannah’s breathtaking Historic District guided by ‘Savannah Dan’ who will provide a unique and highly entertaining insight to the city’s past and how the stunning architecture and sights made Savannah what it is today. 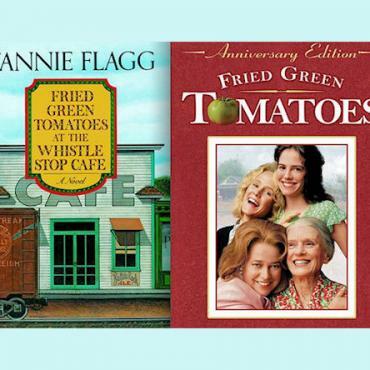 Following a traditional Southern lunch at either Mrs Wilkes Café or Paula Deen’s – Paula & Son’s hop on a trolley tour or work off lunch on foot exploring the 2.2 square mile National Historic District. 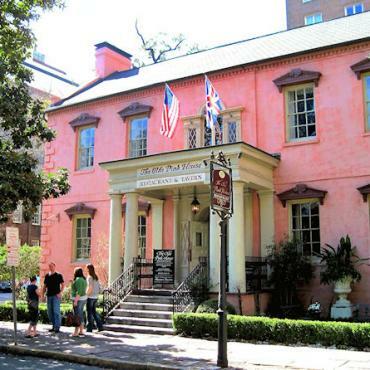 Sample more local cuisine and enjoy a final evening of Savannah entertainment. 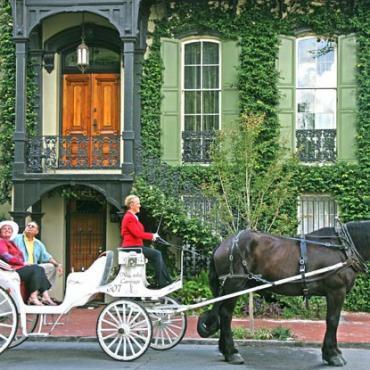 Enjoy a leisurely morning in Savannah. Grab your flip flops and sunscreen and head for tiny Tybee Island this afternoon. 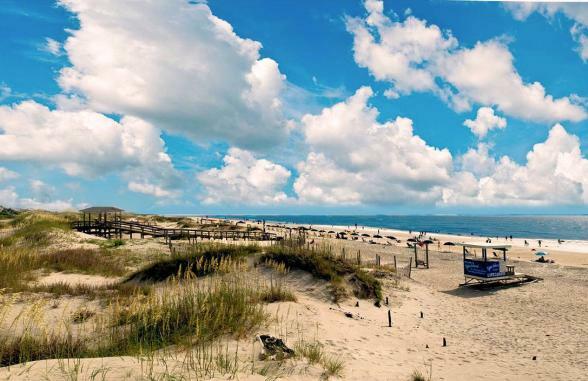 Only a 30 mintue drive from Savannah, this island boasts 5 miles of unspoilt beaches. Here you can hang out on the beach, jump on a jet-ski, learn more about the creatures of the seas in the Tybee Marine Science Centre or climb the Tybee Light Station and marvel at views from the top. 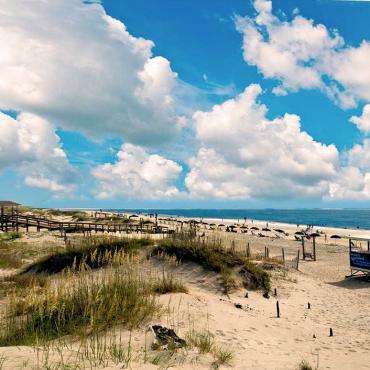 Tybee Island also has an abundance of beach front eateries where you can enjoy the Catch of the Day, or some delicious southern deep-fried dishes. Don't worry about the calories, you can walk it off afterwards. Drive to the Jekyll Island Club your base for exploring Georgia’s ‘Golden Isles'. Experience Jekyll Island and visit The Georgia Sea Turtle Center with exhibits on sea turtle conservation, rehabilitation and their amazing journey from egg to adulthood. Visit the Jekyll Island National Historic Landmark District one of the largest, ongoing restoration projects in the southeastern United States. Spend the rest of the afternoon exploring the island's other historic sites including Horton House. 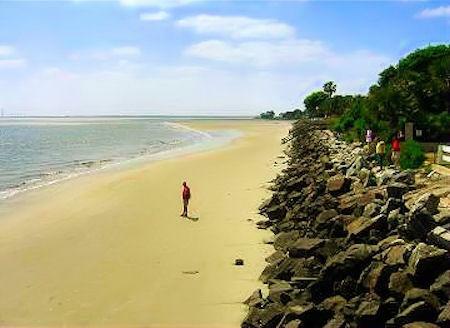 Visit Pier Village on St. Simons Island and take a tour of the lighthouse and keeper's dwellings. Climb the 129 steps to the top for amazing 360 degree views. Finish the day with a tour of the Maritime Center (included in the lighthouse entrance fee) and a stroll along East Beach at sunset. 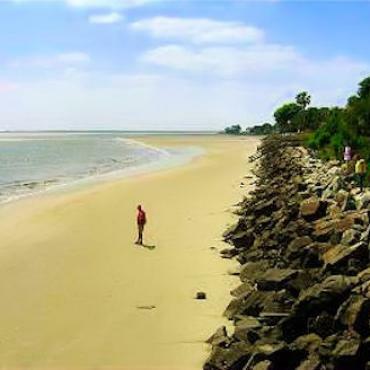 Take a ferry from historic St Mary’s to Cumberland Island and enjoy the unspoilt natural surroundings.The National Park Tours lets you wander sections of the totally undeveloped 16 miles of beach. You are more likely to see one of the many wild horses that inhabit the island than other humans! Historically owned by the super-rich Carnegie family you can visit former residences - some in ruins others restored. 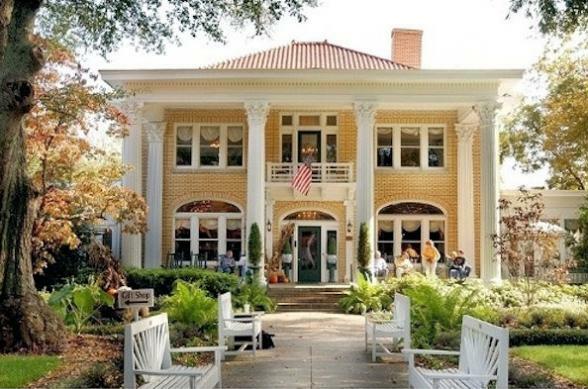 On your way back from St Mary’s, stop in the General Oglethorpe planned downtown of Brunswick and enjoy a leisurely dinner. 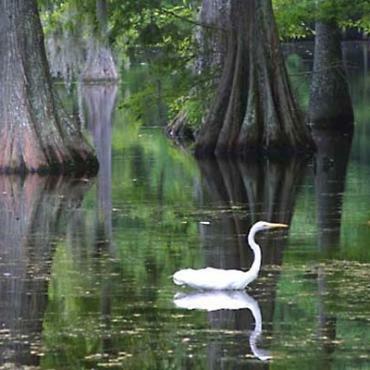 Begin with a guide boat tour of the Great Okefenokee Swamp; one of North America’s most unspoiled, fascinating and precious natural areas. It is the largest intact and un-fragmented wetland wilderness swamp in North America. Take a drive to Thomasville - known as the City of Roses, renowned for its spectacular Rose Show & Festival every April. With its brick-paved streets and historic downtown, Thomasville offers dozens of charming retail shops, antiques, specialty stores and restaurants. It’s been named a Great American Main Street and has been recognized by the National Trust for Historic Preservation. 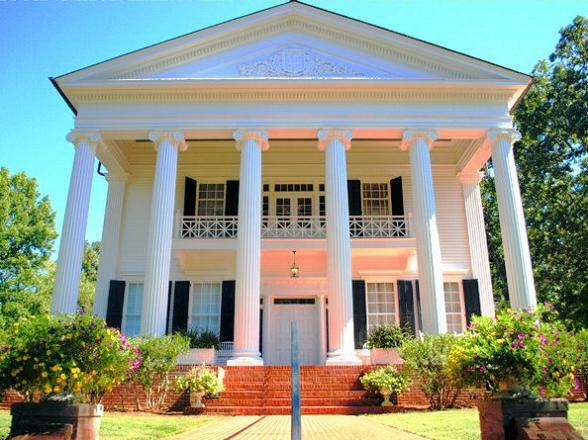 Just outside of Thomasville you will find the magnificent Pebble Hill Plantation. The house is graced with antiques, horse & hound paintings, a collection of Audubon prints and a wealth of sporting art. 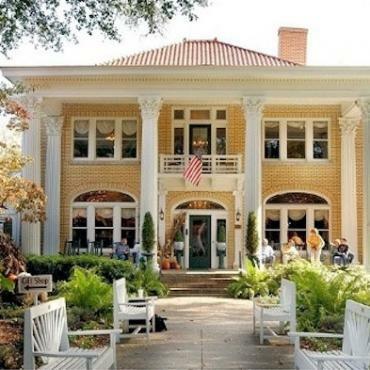 Pebble Hill Plantation offers house, art and walking tours. While you are in downtown Thomasville, be sure to get your picture taken by The Big Oak with the Big Oak Cam. This 325+ year old live oak tree stands more than 68 feet tall with a trunk almost 27 feet around. Stand beside the white sign, call the designated number from your mobile and follow the instructions you hear on your phone to find your photo online. 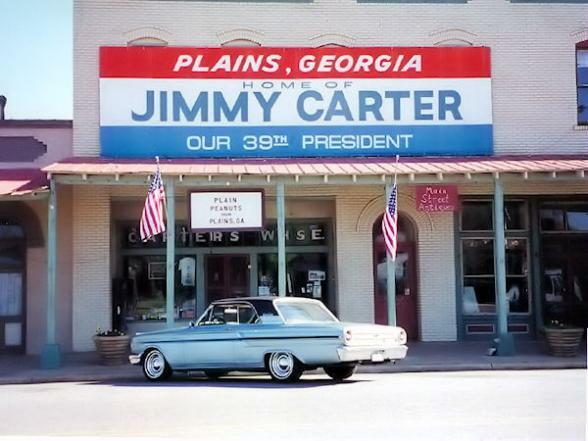 Enjoy breakfast before making your way from Thomasville to Plains, Georgia, home to America’s 39th President – Jimmy Carter. You’ll know Plains by the little green-and-white train depot and its water tower brightly painted with stars and stripes. A small town charm still clings to the town and its people. Stop by the boyhood farm of President Jimmy Carter where you can stroll along a walking path and read about the farm and family - even listen to President Carter share stories of his child-hood. The farm is restored to its appearance before electricity was installed in 1939. Drive from Plains to Columbus on the Chattahoochee River which forms the border between Georgia and Alabama. From Broadway shows to the State Theatre of Georgia, Columbus offers an array of venues with world-class entertainment. From the history of the foot soldier, the Civil War and prisoners of war, Columbus is home to nationally acclaimed museums. Stroll back to genteel times with a guided tour of the Columbus Historic District where brick streets, ancient oaks and century-old homes are the order of the day. 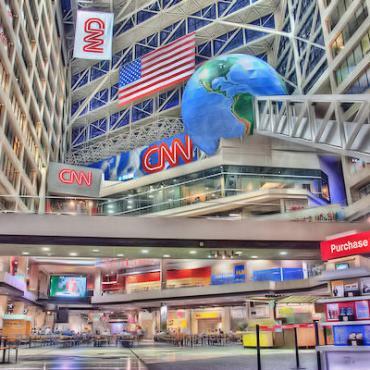 Be sure to take in the city’s renowned Riverwalk, The Coca-Cola Space Science Centre or the very impressive National Infantry Museum in Columbus, near Fort Benning, Georgia. 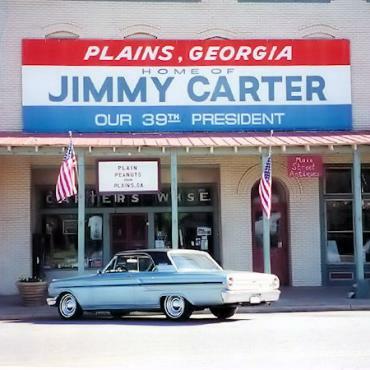 Drive from Columbus and head for the rolling hills of north Georgia and the vibrant city of Cartersville. Established in 1850, the city offers a great deal of history such as Etowah Indian Mounds from 1000 A.D., but also provides an abundance of culture and recreation, including the Booth Western Art Museum, Tellus Science Museum and the Pine Mountain Trail. After lunch, head for your overnight stop in Rome, north Georgia. Few southern cities can boast the beauty and charm of this delightful spot. Tucked in the foothills of the ancient Appalachian Mountains, Rome’s three rivers, Etowah, Ostanaula and Coosa frame the downtown district. Rich with history, explore the cities many historical buildings, sites and cemeteries. 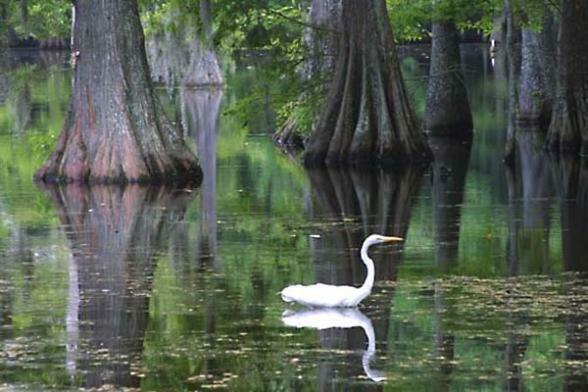 Visit the Oak Hill & Martha Berry Museum, the Myrtle Hill Cemetery or for the more adventurous, take a kayakthrough the cool waters of America’s most diverse ecosystem. Drive from Rome to Blue Ridge nestled in the Chattahoochee National Forest at the base of the Appalachian Mountains.Picturesque Blue Ridge is a great place to relax for two nights and explore the incredible mountains, wildlife and forests of this rural, undiscovered region of Georgia. Blue Ridge is also the starting point of the excursion train, the Blue Ridge Scenic Railway located at the historic Train Depot and Red Caboose Visitors Centre. The train winds alongside the beautiful Toccoa River with one stop in the twin border towns of McCaysville, Georgia and Copperhill, Tennessee on a four hour round trip. In Blue Ridge you’ll love exploring the antique and specialty stores and throughout the year numerous events are held in the city including Arts in The Park, Mountain Harvest Festivals and Farmer’s Markets. Leave behind the Georgia Mountains and head for your early evening flight back to the UK from Atlanta Airport. 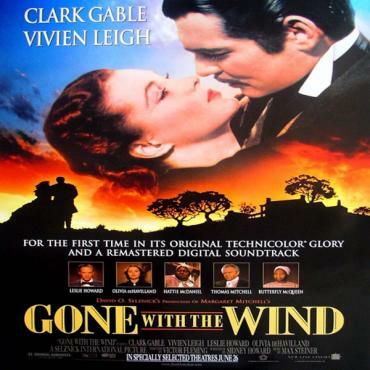 En route to the airport travel along highway I 75 and enjoy the Gone with the Wind Trail through Marietta (Gone with the Wind Museum) and pretty Jonesboro home to the Road to Tara Museum. In the museum you’ll see original movie props and wardrobe items, as well as manuscripts, costumes and an extensive photo gallery. You may decide to extend your stay and spend a few days in New Orleans or perhaps a visit to Gracelands in Memphis. Call the travel specialists at Bon Voyage to discuss your perfect Back Roads of Georgia adventure.